Pakse morn 11 mar, originally uploaded by c_p_lew. After our long trip down here to Pakse yesterday, I got up early to stetch my legs cramped by the journey. 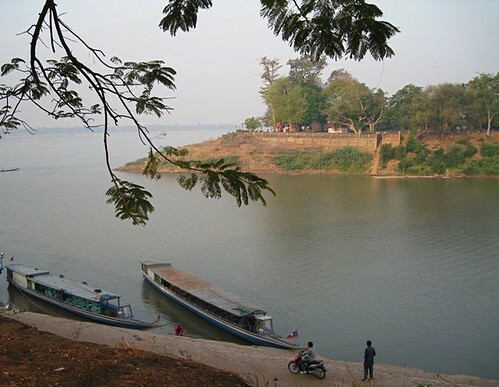 This is a landing for short distance passenger boats at the confluence of the Xedon and Mekong rivers. A Chinese temple is on the point at the other side of the river. Beautiful pictures as usual. I learn so much from your blog. I'm glad you take the time to share your experiences and your photos.